It’s been a little while. I hope this post finds y’all doing well, and that your 2014 running goals are progressing nicely. About those. I’m 0-4 thus far. And I’m not even near 1500 mile pace. I may not be where I want to be in terms of this blog and growing my site. But looking back and getting upset about it won’t help me to get where I want to be. So it’s time to look forward. And here are some things I’m seeing. 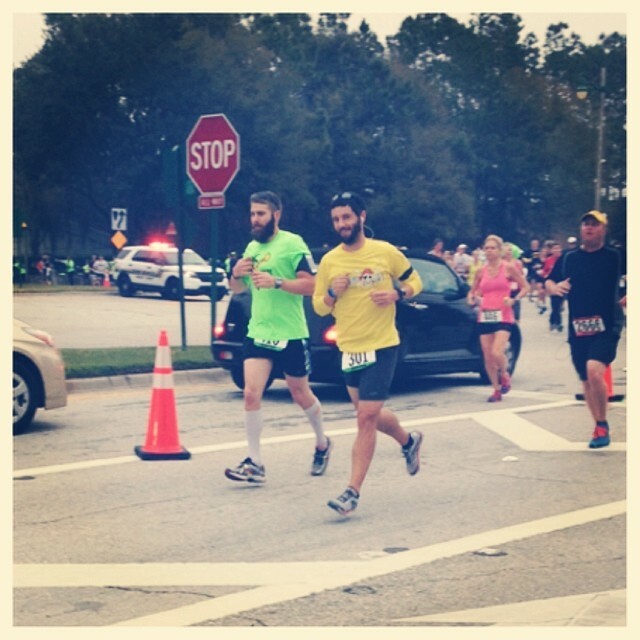 Regular Posts–I miss writing about running and interacting with you guys. So I’m going to commit to posting every Wednesday on here. I’d love to do more, but with how busy I am with DK FitSoltuions right now, I know I can’t commit to more. So for now, every Wednesday I’ll be posting something running related. New Site Layout–I’m thinking about adding some new things here, and I’ll need more control with the layout and the functionality of the website. So sometime this summer, probably June/July, I’ll be switching some things up with the website. I’ll keep you posted as I get closer to an actual switch. Podcasts–Something I’ve been doing lately at DK FitSolutions is podcasting, and I’m loving it! My show, Better Health 101, airs twice a week and I get a chance to encourage folks to take control of their health. Well, I’m having so much fun podcasting that I want to bring on to this site as well. I’m still working the details out in my head, and it will likely be a completely different format from what I’m doing now, but I’m leaning toward a July 1 launch for a running show. I’m thinking about calling it “Diz Runs With…” and interviewing different celebrity/professional runners. Think you might want to listen to something like that? 2014 Mileage–I’m still shooting for 1500 miles, but I’m not going to be stupid about it. After I finish the Blue Ridge Marathon in a few weeks, I won’t have any big races on my calendar. So I’ll try and pick up some miles in May and June, but with a baby due in July, 1500 might be unattainable. I’ll keep you posted. Well, this is my story and I’m sticking to it. 2014 has (so far) been a really good year, I just haven’t gotten as much done on here as I’d have liked. But I’m going to get back in the saddle, and you’ll be hearing from me again next week. Good to be back, y’all. Who Would You Like for Me to Interview on My Podcast? I’d Love to Hear Some Suggestions! 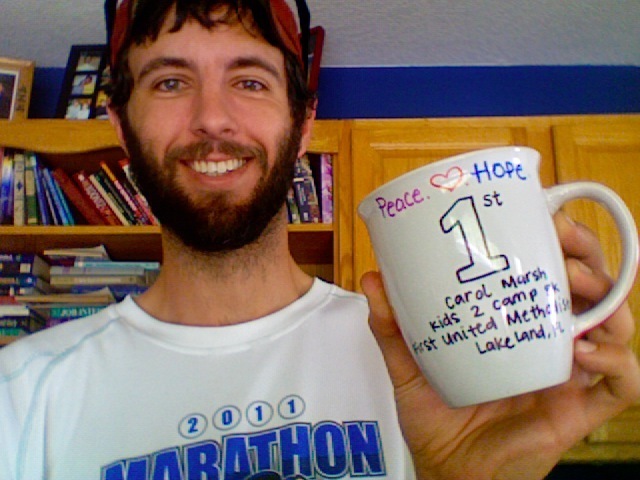 So this past weekend was the 2nd annual Carol Marsh Kids 2 Camp 5k at First UMC here in town. Seeing that my wife not only works at the church, but that a lot of the kids in her program are able to go to summer camp because of the proceeds of this event, I was obviously running this event again this year. While I still have a serious hatred for 5k racing, I do enjoy this race for the simple fact that it is not around Lake Hollingsworth like just about every other 5k in town. So since the race is on a different course, and it’s for a good cause, I went ahead and signed up for the race. When I was picking up our bibs and goodie bags the night before the race, the ladies that organized the race were already congratulating me on winning this year’s race. I tried laughing them off, but they were certain I’d win after placing third last year. One even said that my only real competition was injured, so I was in pretty good shape to win. What they didn’t know was that my plan for race morning was to get up early, head into town, and knock of 8-10 miles BEFORE running the 5k. Seeing as I’m only about 7 weeks out from the Blue Ridge Marathon, I need a lot more miles than just 3.1 on a Saturday. Well, after oversleeping by about an hour on Saturday, I decided to forgo the long run opportunity, and just run the race instead. So I grabbed Bailey, and headed to the church. We got there with enough time for her to do her “thing” and me to get about a mile warm up in, and headed to the start line. As the race started, there were a handful of kids that basically took off in a sprint. I tried to keep Bailey from going crazy with all of the kids, and we just focused on getting off to a good start. Once the kids dropped off, all of about 1/4 mile into the race, we settled into a groove behind the bike that was leading the way. Bailey and I Were So Fast, This is The Only Evidence of Our Victory! After the first mile, things were feeling pretty good, and B had stopped going crazy like she does at the start of every run, so we kept at it. We had done the first mile in 6:28, so I knew we were moving pretty good, I just hoped I didn’t go out to fast and could maintain this pace for the rest of the race. As we blew past the second mile, I thought for a minute that I might actually have a chance at a new PR. I set a PR in last year’s race, but had blown it out of the water a few times during the Watermelon Races last summer. And since I’d really only been doing marathon training, not 5k training, I didn’t think there would be a chance I could touch my 20:21 in this race. But as we were coming around the corner with less than a 1/4 to go, it was actually possible. When we got to the finish line, I checked the time. 20:24. Not quite a PR, but a good 30 seconds faster than I thought I would be. I was surprised, since there were no other runners around us for the entire race. Of course, I did have miss thing pulling me! So now, I’m almost looking forward to next year’s race. I mean, I’ve got the plate and the coffee cup. What’s next, silverware? Soup bowl? I guess I’ll just have to wait and see! Gotta Love a Solid PR! 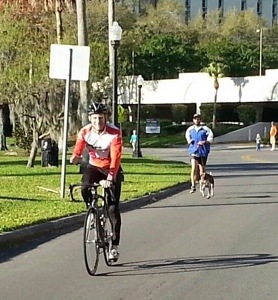 On Sunday, I ran in the inaugural running of the Celebration Marathon. This race was, in a word, fantastic, and I’d highly recommend that you consider running it next year. For an inaugural event, the organizers did a tremendous job keeping things together and running smoothly. Were there some things that they might want to do differently next year? No question. But all in all, I didn’t see anything major that you could really complain about regarding this race. I came closer to running a perfect race than ever before, only missing the mark by .06 miles. I also managed to PR by 21 minutes, so I was pretty stoked with my performance. I really wanted to end up under 4 hours, (official time was 4:08:34) so I could have done better, but a 21 minute PR will have to be good enough. In my humble opinion, there were a lot more pros than cons with this race. And in truth, I almost had to reach to find any cons. Flat–If you are afraid of hills, this race is for you. There weren’t even any “Florida Hills”, aka overpasses, on this course. If you want flat and fast, come to Celebration in 2015. Small Field–I know size is relative (that’s what she said), and for some bigger is better(and she said it again), but if you don’t want to have to dodge other runners for 26.2 miles, this race is for you. Granted the first half of the race is a bit crowded until those running the half split off, there’s nothing like having a little elbow room for the vast majority of the race. Great Expo–Again, this is a bit relative, but I thought the expo was fantastic. I’m not a big expo fan to begin with. I’m more of a get my packet and get out of here kind of guy, but for a race with only 2000 people in it, I was really impressed. While there were fewer venders than at some big races, there were lots of samples to be given out and lots of products to try. And the cool thing about small race expos is that often the big companies shy away, but the small companies come to try and expand their customer base. So it’s cool to see some newer products from some newer companies. Awesome Weather–I know there is no guarantee that the weather will be perfect again next year, but let’s be honest. The likelihood of good weather in Central Florida as opposed to the rest of the country at this time of year (polar vortex, anyone?) is pretty high. I’ll take mid-50s for the race, thank you very much. Two Laps–For the full, we basically ran the same loop twice. This isn’t a huge con, but the first lap we ran with those running the half so the course was a bit crowded. For most of it, there wasn’t much of a problem. But there was one stretch of about a mile, where it got really crowded during the first lap. The Post Race Party–All in all, the post race party wasn’t bad. When we finished, we picked up a card to take to a variety of vendor in order to try samples of their food and drinks. The problem was that it wasn’t completely clear where to go to get the card after crossing the finish line, and some vendors ran out of items early. I know the vendors running out of food early isn’t the race organizers fault, but it was still a bit of a downer. Overall, this was a fantastic race and I’d absolutely consider running it again. The only reason I’m not quite ready to commit to it again for next year is that I need to start running in more states than just Florida. But for the price, and for the fact that late January isn’t the greatest time to run a race in most other parts of the country, I’ll go out on a limb and say that at some point I’ll definitely run this race again. If you’re thinking about running Celebration in 2015, do it. You won’t be disappointed! https://i1.wp.com/www.dizruns.com/wp-content/uploads/2014/01/1016241_10151803980556710_414533654_n.jpg?fit=640%2C640 640 640 Denny http://www.dizruns.com/wp-content/uploads/2015/01/Logo-Trans.png Denny2014-01-29 15:39:022014-12-24 12:23:24Gotta Love a Solid PR! If You Only Do One Thing Today, Run. For Meg. Ask any runner why they run, and you’ll get a variety of answers. To feel free. To relieve stress. To feel alive. To have some peace and quiet. To think. To clear my head. To improve my health. To be alone. To be with other runners. The list goes on and on, but rarely do any of us think that today’s run will be our last. I’d never heard of Meg Menzies before this week, but I imagine that she ran for many of the reasons above. But when Meg left her house Monday morning for her run, everything seemed normal. If you’re not familiar with the story, Meg was hit by a drunk driver that morning and passed away. 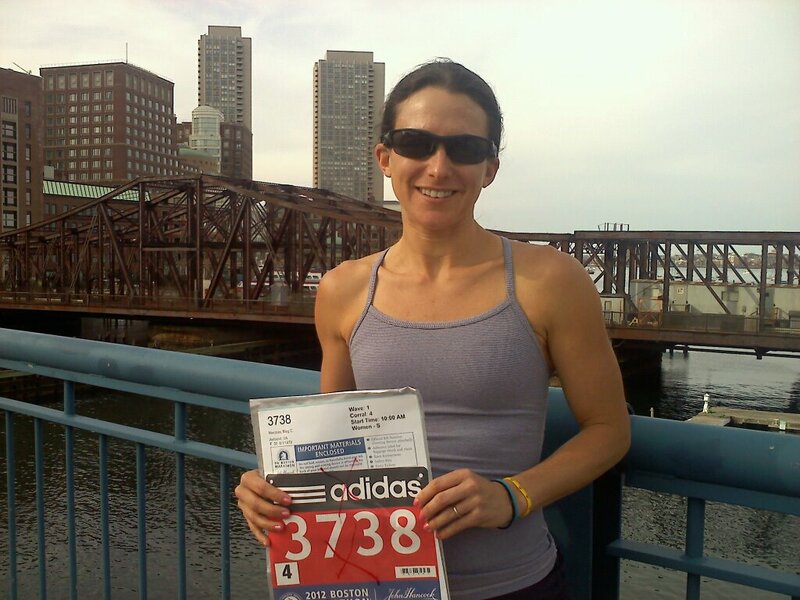 While her family is dealing with the loss, the running community around the country is holding them close today. 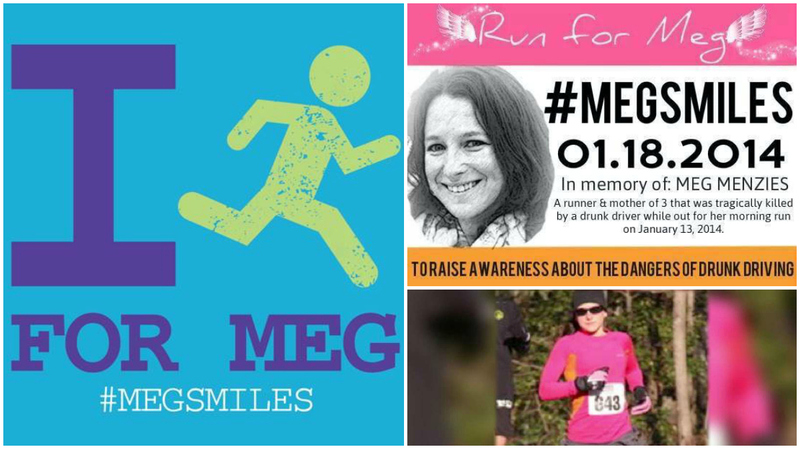 Because today, we are running for Meg. Keep an eye on twitter today, and I’d bet you’ll see #megsmiles trending for most of the day. Runners across America are uniting and running in honor of a woman who’s life was ended way too premature. In a way that, if we’re honest, could happen to any one of us. So run today. Run a mile. Or a marathon. https://i1.wp.com/www.dizruns.com/wp-content/uploads/2014/01/476254_2697567493442_1531410714_o.jpg?fit=1024%2C768 768 1024 Denny http://www.dizruns.com/wp-content/uploads/2015/01/Logo-Trans.png Denny2014-01-18 07:47:322014-12-24 12:22:13If You Only Do One Thing Today, Run. For Meg. Just a quick post today letting yall in on a little secret I’ve been keeping for a few days. 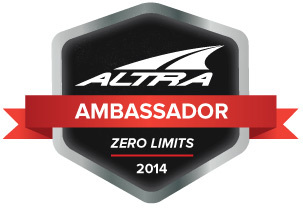 I’ve been chosen to represent Altra Running for 2014 as one of their Altra Ambassadors. In case you missed one of my posts or tweets about how much I love their shoes since I made the switch to Altras a little over a year ago, don’t worry. I’ll be promoting them even more this year, but it’s really only because I love the shoes and I know they’ve worked wonders for me and my running. Being an Ambassador is nice, but I’d still be trying to talk people into trying the shoes regardless. If you’re interested in more info, just let me know or check out their website. And with a little luck, maybe FitNiche would allow a couple of pairs to be sold in the store? Is that asking too much? Have You Ever Tried Altras, or Any Other Zero or Minimal Drop Shoe?